Professor Robert J. Mitchell in the School of Life Sciences at UNIST appeared on ASM's BacterioFiles podcast. Professor Mitchell appeared on the June 10th episode of the BacterioFiles podcast by ASM. Professor Robert J. Mitchell in the School of Life Sciences at UNIST appeared on the June 10th episode of the BacterioFiles podcast by the American Society for Microbiology (ASM), which highlights the latest in microbiology, life science and biotechnology news. In this episode, Professor Mitchell discussed some of the specifics of his recent research, introduced in mBio. The study found that the bacterium Chromobacterium piscinae produces cyanide, an inhibitory molecule, to defend themselves in the battle against Bdellovibrio bacteriovorus HD100. 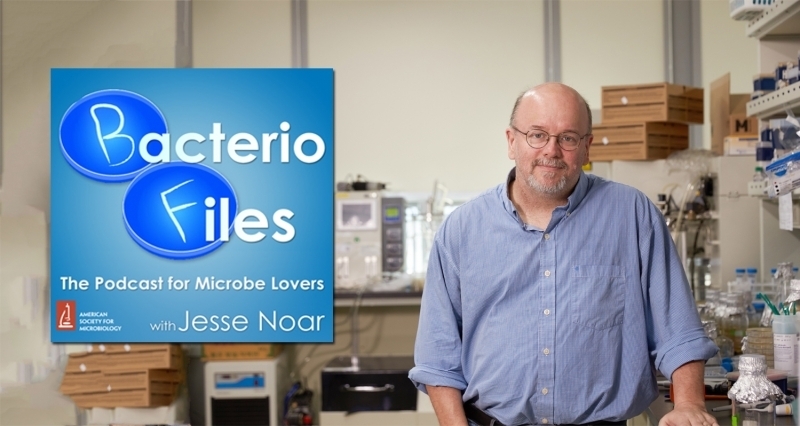 Part of the ASM family of podcasts, the BacterioFiles is a science-themed podcast, hosted by Dr. Jesse Noar from North Carolina State University since 2009. Episodes cover the importance of bacteria and other microbes in our bodies, the environment and technology. Wonsik Mun, et al., “Cyanide Production by Chromobacterium piscinae Shields It from Bdellovibrio bacteriovorus HD100 Predation,” mBio (2018).